Tasting wine is subjective, but being a great wine club is not. At this website a wine-loving human being uses 11 rating factors to evaluate more than 250 wine clubs from more than 50 different companies including wine quality, wine quality-price ratio, discount opportunities, customer service record, satisfaction guarantee, giftworthiness, and more. No other list of best wine clubs online is as well-researched as ours is. We guarantee it. Our ratings system is mostly objective, but which wine clubs we pick to be labeled as "the best" go through a much more stringent level of scrutiny — the opinions of our readers. The wine clubs that make this list have at least a 4.5 star rating and are consistent top sellers among the tens of thousands of customers who have bought wine clubs based on our recommendations over the last nine years. We re-check the numbers every month to ensure no wine of the month club stays on the list that doesn't belong here. 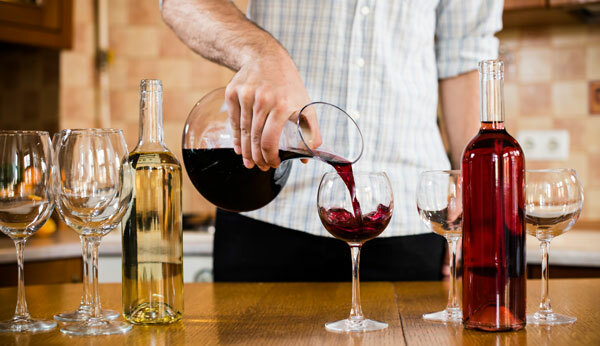 Wine Quality: We find the wines at Winc to generally be of much better quality than comparably priced wines at grocery stores, wholesale stores, and fine wine stores across the country. When we talk about quality we're thinking of the balance of body, acidity, tannins, and fruit. We're thinking about whether or not the wine tastes like the grapes it says are in it. As a general rule, we're not crazy about their $13 red wines, though they've gotten better over time. If you typically spend $20-25 on red wines, you should expect to pay $17-22 for comparable red wines from Winc. Wine Selection: While you can rely on Winc's algorithm to select wines for your palate, you can also hand pick every bottle in every box you receive. Winc's wine represents a broad spectrum of wine regions, grape varieties, blends, and styles, with a heavy focus on California. While 60% of Winc's wine selection is priced at $13, they offer a number of interesting premium wines priced $14-35 which increase in quality as the prices go up, always maintaining a high quality-to-price ratio. These prices are a members-only discount below their normal retail prices. You can purchase Winc at retail at Whole Foods, in restaurants and fine wine stores — and their popular Summer Water rosé was just featured on the Today Show. Loyalty Customer Discounts: In addition to members-only pricing, Winc gives you ample opportunity to save more money. Load your monthly box with four or more bottles, get free shipping — load it with 12 and save 10%. Rate 10 wines, get $10 in credits. Really love Winc? Buy your credits in advance and save up to 20%. Gifting: We have heard from some customers that they don't want their recipients to have to do any work. We don't think picking out your own wines online is work, and if you agree, Winc makes a super great gift for wine lovers. Gifts are sold as gift cards in fixed increments starting at $60. Also, each shipment includes a beautiful "book" with in-depth wine education materials which makes for a fun read while they're sipping on their gift. The Gold Medal Wine Club showcases award-winning California wines and the Gold Series is their entry-level series, perfect both for gifting and getting hand-picked California wine for yourself delivered monthly. Their focus on wines that have won awards is nice, though not the only factor to consider as many small wineries don't enter their wines in competitions or send them out to be rated by wine critics. Wine Quality: As mentioned above, Gold Medal only offers award-winning wines through their wine club and their online store. Their selections always represent diverse California wine regions and grape varieties. A quick peek at their store inventory today left me impressed with the selection of wineries they're working with and the number of Estate wines available. We do a lot of wine tasting in California and we're pretty sure drinking these wines will make you glad joined. Wine Price: The regular prices for the Gold Series at Gold Medal Wine Club range from good to great, it really depends on a number of factors, but you'll never pay winery retail. A great perk to ordering from Gold Medal is their focus on rewarding customers for buying more. Buy 6-months or more and save at least 5% (on Gold Series). Upgrade the subscription to four bottles and you'll save 10%. Please note: When you upgrade to four bottles you get two each of red and white or four each of all red or all white. Giving a gift? Without a doubt, Gold Medal wins on gift packaging, and our readers get a special deal: Free artist-designed gift box ($7.99 value) and matching gift note in the box, plus a bonus bottle of Reserve Meritage ($24 value) in the first shipment. Shopping last minute? 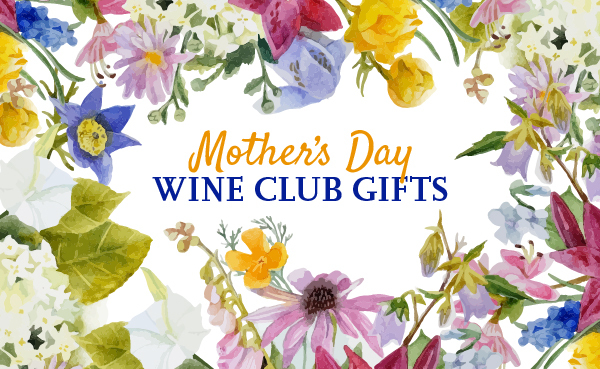 The Gold Medal Wine Club has customizable gift cards you can print or email so they have something to open on the big day. We love The California Wine Club and their Premier Series is the perfect way to get introduced to their wine membership. In addition to a delightful selection of boutique California wine, never mass-produced or bulk wines, there are lots of extras that make this club an excellent way to discover California wine at a very fair price. Wine Quality: One of the things to love about The California Wine Club is an obsessive focus on selecting high-quality wines that appeal to many palates. Fortunately this doesn't just limit us to Cabernet Sauvignon and Chardonnay — you'll also find delightful Petite Sirah, Zinfandel, Sauvignon Blanc, and Rhone-style whites, too. Wine Price: Fine California wine, the kind that comes from boutique wineries and has a specific wine region or even a vineyard name on it, doesn't come cheap, but The California Wine Club leverages relationships dating back 20 years to get access to the best of each vintage, and then transfers that exceptional value to their wine club members. If $27 per bottle, including shipping, is still too much but you really want to join, try their new Case Club Series. 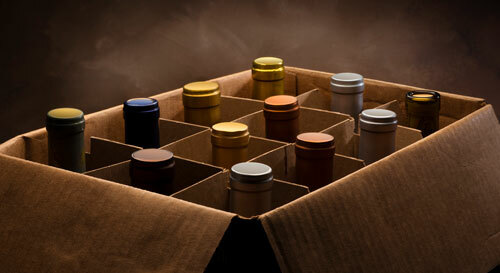 By getting 12 bottles per shipment, you save big on both wine and shipping cost. Customer Service: When you join (or give) the California Wine Club, you get access to a personal wine consultant who can make most of your wine dreams come true. They can help with food and wine pairing suggestions as well as help finding wines that fit your palate. And naturally they help customers with every type of service issue you can imagine — from replacing bad bottles to re-routing shipments, vacation holds and storage, to wine country travel plans. Giving a gift? The California Wine Club makes for a fantastic gift. Typically given for three months, there are frequently deals on Premier Series Gifts, our review page has the details. Wines come gift wrapped in the first shipment and all shipments include the full-color magazine Uncorked providing detailed background on all of that month's selections, including recipe pairing ideas often from the wineries. Last minute? You can customize a gift notice to print or email to your recipient so they have something to open on the big day. Nakedwines.com isn't a new wine club, but we've only recently formally reviewed them. And we're sorry we waited. We were absolutely impressed with the 6-bottle introductory shipment we received. Before we get into that, it's important to know that Nakedwines.com isn't exactly a regular wine club, it's more of a wine-buying membership where your membership fees go toward your wine purchases and any unspent funds are fully refundable. A huge variety of wine is available. No matter what your existing wine preferences are, or how much wine tasting your way through the world you want to do, you'll find you can create a fantastic wine subscription with their inventory. 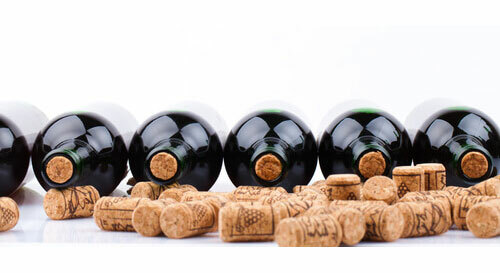 All kinds of red wine, white wine, sparkling and champagne are available. Every wine is described so you know if it's on the sweeter side, the drier side, or somewhere in between. Wine prices vary widely from $8 (a deeply discounted member price) to $45 with a great selection under $20 and plenty of room to splurge on special occasions. You pick your own wine with the benefit of other members' ratings. This isn't just a personalized pick-em-yourself wine club, they make recommendations based on how you've rated your previous wines, but those ratings are shared with their customers, and the public, so you can pick only the most popular ones if you want. You have a relationship with the winemakers. Your monthly deposits ensure there are funds to pay independent winemakers for the gems they produce. The winemakers are grateful for this way of working, as it allows them to be creative and guarantees them an income. We know this because when you comment on one of their wines, good or bad, odds are good you'll get a helpful or grateful response from the winemaker directly. It makes you feel good about buying your wine from Nakedwines.com. Firstleaf, a personalized wine club, is a rising star on our Best Wine Clubs lists. As wine subscriptions go, they have mastered all of the critical components to providing an outstanding service: a guarantee, convenience, plenty of preferences to set, and customer service. Who It's For: Firstleaf is perfect for new wine drinkers starting to explore the world of wine, wine drinkers who want easy-drinking everyday wine at an affordable price, and wine drinkers who are curious to discover wines that fit their palate to a tee. Wine Quality: While we weren't bowled over with artisanal wine, that's not what Firstleaf is about. Firstleaf is about delivering value at $15 a bottle, which usually means large-production wines that are consistent and palate-friendly. Compared with similarly-priced wine of the month clubs, we think the wine is generally better than the others. Wine Price: $15 for a bottle of wine is a great price. The question we always ask ourselves is this: could we get a better or more interesting wine for $15 at our local grocery store? In this case, the answer is definitely no. Most stores don't offer the selection of grape varieties and wine regions that Firstleaf does, much less in the under $15 price category. What kind of wine clubs are there? Related: Are wine clubs worth it? The best red wine can be pricey so pick a trusted wine club with a satisfaction guarantee. Quality & service is how you get on our list of best red wine clubs. Wine clubs are the white wine lover's best friend. Excellent & affordable sums it up. There's so much more than Chardonnay and Sauvignon Blanc, so join one! Some California wine is legendary. Wine clubs featuring CA wine range from cheap & cheerful to outstanding. We'll steer you to the right California wine clubs. Find budget nirvana by combining two smart wine shopping tactics: Buy by the case, get a subscription. These are the best quarterly case clubs on the market. Like most things, one size does not fit all in wine gifts. Our reviews outline the best wine club for gifts. 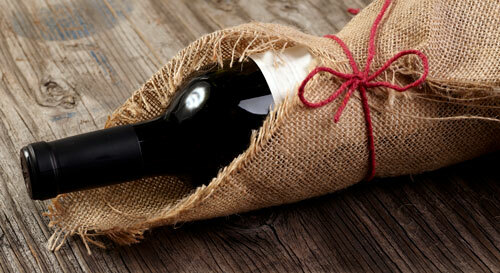 We also have lists for red and white wine gifts. In addition to the selection of best wine clubs based on general consumer preferences and what our readers like, we've gone ahead and cherry-picked the monthly wine clubs we'd most likely join if we weren't getting the subscriptions for free.